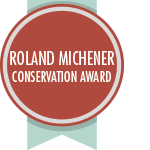 The Roland Michener Conservation Award was established in 1978 by the Canadian Wildlife Federation as a tribute to the former governor general of Canada, the Right Honourable Roland Michener, an outstanding outdoorsperson and past honorary president of the federation. Submit a nomination. Any individual who has demonstrated a commitment to conservation through effective and responsible activities that promote, enhance and further the conservation of Canada’s natural resources is eligible for this award. In recognition of its role in developing a strong national voice for the recreational use of Canada’s fisheries resources, the Canadian Wildlife Federation established the Roderick Haig-Brown Award in 1985. This award honours one of Canada’s greatest outdoorsperson and writers on outdoor topics. Submit a nomination. Any individual who has made a significant contribution to furthering the sport of angling and/or the conservation, development and wise use of Canada’s recreational fisheries is eligible for this award. 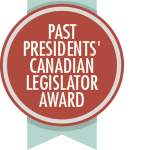 The Past Presidents’ Canadian Legislator Award was established in 1988 by the past presidents of the Canadian Wildlife Federation. This award is presented annually to an elected legislator in recognition of a significant contribution toward the conservation of wildlife in Canada. Submit a nomination. Any individual who is a provincial, territorial, or federal elected legislator and who has made a significant contribution to the conservation of wildlife in Canada is eligible for this award. 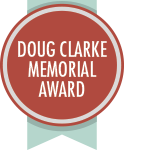 The federation introduced the Doug Clarke Memorial Award in 1982 in memory of Dr. C.H.D. “Doug” Clarke. Dr. Clarke devoted his career to the philosophy, science and art of wildlife management throughout the world. At the time of his death in 1981, he was a director of the Canadian Wildlife Federation. This award is presented to a Canadian Wildlife Federation affiliate for the most outstanding conservation project completed during the previous year by the affiliate, its clubs, or its members. Submit a nomination. Each year since 1975, the Canadian Outdoorsperson of the Year Award has been presented to an outstanding individual in the field of conservation. The award has since been renamed in honour of the CWF founding president Stan Hodgkiss. Submit a nomination. Any Canadian outdoorsperson who has demonstrated an active commitment to conservation in Canada is eligible for this award. All nominations must include a complete summary of candidate’s outdoor and conservation activities including affiliations with organizations and service clubs, participation in civic affairs and youth groups, etc., as well as biographical information. 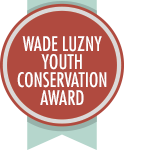 The Wade Luzny Youth Conservation Award recognizes youth and/or youth groups who have undertaken habitat and conservation projects or activities. Submit a nomination. Any Canadian youth or youth group who have participated in a wildlife or habitat conservation project, or activity. Nominations must include a summary of the project or activity, including information about the group and its members. 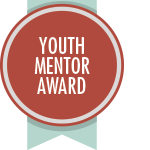 This award is to honour an individual or group that creates, presents or encourages Conservation, Habitat or Wildlife Programs to the Youth of Canada. Submit a nomination. Any individual or group who has made significant contribution in creating or presenting programs that are dedicated toward Youth in introducing the importance of Conservation, Habitat or Wildlife. 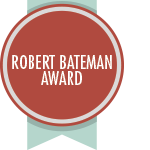 In commemoration of its 50th anniversary, CWF established “The Robert Bateman Award” to recognize an individual or group who has furthered the awareness of and/or appreciation for Canada’s wildlife and habitats through artistic expression. Submit a nomination. Any individual or group that brings awareness to conservation through an artistic means is eligible for this award. Artistic expression includes but is not limited to; painting, sculpture, photography, writing, song, choreography. The WILD Educator Award was established in 2015 with its first recipient to be awarded in 2016. 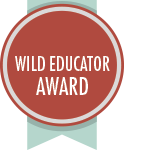 This award is to honour an exceptional WILD Education facilitator or instructor. Submit a nomination. Any WILD Education facilitator or instructor who utilizes CWF’s education programming (Project WILD, Below Zero, WILD About Sports) to provide innovative and meaningful experiences for youth that focus on wildlife and the building of a conservation ethic.